The Montreal, Maine & Atlantic (reporting marks MMA) was a Class II Regional railroad which operated from 2003 to early 2014. The MM&A instantly became a large Class II carrier of over 700 miles when it took over the remains of the historic (and bankrupt) Bangor & Aroostook (BAR). The system recognized its heritage and used logo mirroring that of the BAR's. In later years the railroad came under fire for its abandonment of more than 200 miles of former BAR trackage in Maine that the state has managed to save. Then, during the summer of 2013 a terrible derailment involving crude oil destroyed the downtown area of Lac-Mégantic, Quebec. This caused the MM&A to fall into bankruptcy, and was later purchased by Fortress Investment group which renamed it as the Central Maine & Quebec Railway. The majority of the Montreal, Maine and Atlantic Railway system had a history that dates back to the aforementioned Bangor & Aroostook, one of Maine's two well known railroads (the other being the Maine Central). The BAR operated a system that served Bangor and Searsport in the south with towns in the north such as Oakfield, Caribou, and St. Francis. The railroad was always driven by natural resources, notably agriculture (potatoes in particular) and various timber products such as pulp and paper. 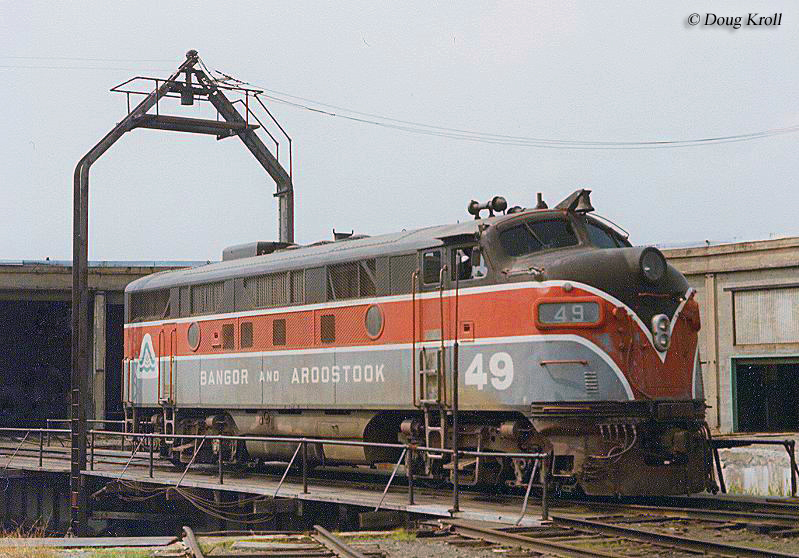 The BAR was never much known for its passenger services although it did provide to notable streamliners, the Potatoland Special and Aroostook Flyer, which operated until 1961 to complement several secondary trains. The BAR was able to remain in business for many decades, subsisting largely on this agricultural traffic. Unfortunately, the road lost virtually the entirety of its potato business in the late 1960s when its interchange partner, Penn Central, lost an entire season's crop at Selkirk Yard in New York State. In essence the BAR never recovered either this traffic or its financial footing although the timber business kept it in operation for the next four decades. Finally, by the early 2000s the railroad, then owned by Iron Road Railways, stated it could no longer turn a profit on the remaining business along its system. The end came for this historic New England system on January 9th, 2003 when operations were turned over to start-up Montreal, Maine & Atlantic Railway. 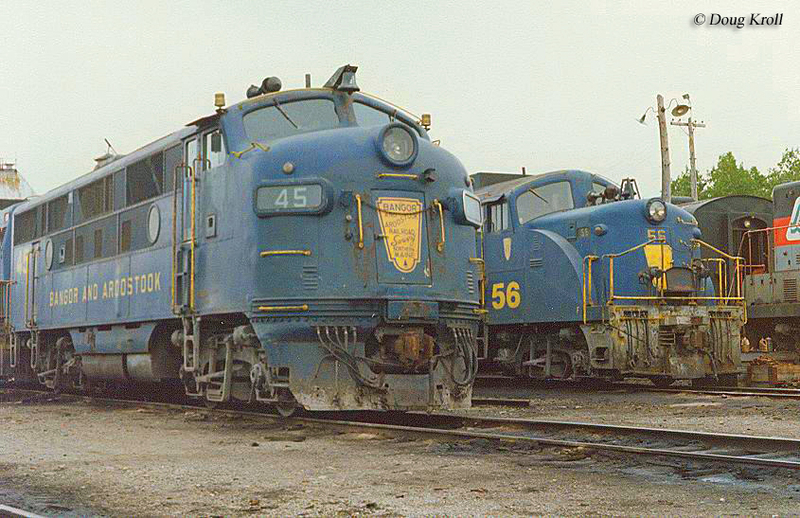 The MM&A itself was owned by Rail World, Inc., an Ed Burkhardt company. Mr. Burkhardt was widely regarded in the railroad industry for his ability to purchase floundering secondary/branch lines no longer wanted and once again turn them into profitable operations. At the time of the BAR/Iron Road Railways takeover Rail World also acquired the assets of the Canadian American Railroad (which dated back to 1994 operating former Canadian Atlantic Railway trackage serving Maine as well as Quebec, New Brunswick and Nova Scotia), Northern Vermont Railroad (now known as the Washington County Railroad it operates former trackage owned by the Boston & Maine and Canadian Pacific in Vermont), and Quebec Southern Railway (a former Canadian Pacific subsidiary that served Quebec). When it first began operations in 2003 the MM&A held a system of 745 miles and dispatched about 25 trains a day out along the system. During its last few years of service the railroad operated just over 500 miles after its February, 2010 announcement that it planned to abandon 233 miles of the original Bangor & Aroostook between Madawaska and Millinocket, which was once the extreme eastern section of the fallen flag's main line in the Pine Tree State. Despite few customers still using the corridor the state realized the importance of this transportation asset and purchased the rails on October 20, 2010. Today, the property is operated by the Eastern Maine Railway, which is owned by the New Brunswick Southern Railway. On July 6, 2013 a horrific derailment in Lac-Mégantic, Quebec saw more than 40 people killed after a train of crude oil exploded and destroyed much of the city's downtown area. Since then the MM&A has come under considerable scrutiny, which has forced the carrier into bankruptcy by August. After a lengthy receivership process spanning several months the railroad was sold on January 23, 2014 to Railroad Acquisition Holdings, a division of the Fortress Investment Group. In total there were some twenty corporations that expressed interest in the MM&A but only three ultimately submitted bids including Fortress, J.D. Irving (through its Eastern Maine Railway), and Pan Am Railways. Following the purchase the system was renamed as the Central Maine & Quebec Railway. Most likely the new CM&Q will carry on operating the MM&A as it stood in its final form including the extreme northern tip of the former BAR system between Madawaska, and St. Leonard, New Brunswick (to access the line they have trackage rights over their former line sold to Maine). Additionally, the railroad stretched westward into southern Quebec and extreme northern Vermont serving towns such as Montreal (via trackage rights), Brockport, and Newport (Vermont). Finally, the MM&A had connections with nine Class I, regional or short line railroads providing it not only important outside connections but also interchange traffic for the areas it served. Hopefully, the future of the CM&Q will be brighter than that of the company it acquired. 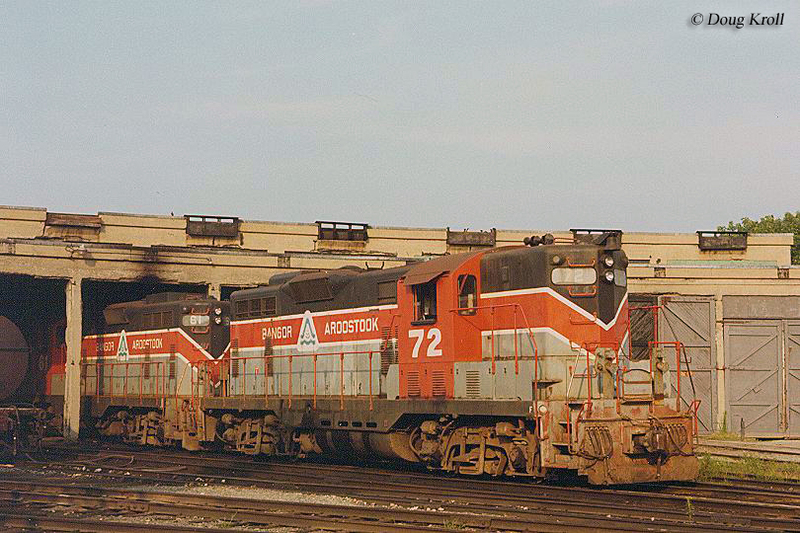 For a further history of the Bangor & Aroostook please click here.